A) The soma is the cell body of a nerve cell. B) Myelin sheath provides an insulating layer to the dendrites. C) Axons carry the signal from the soma to the target. D) Dendrites carry the signal to the soma. 2. 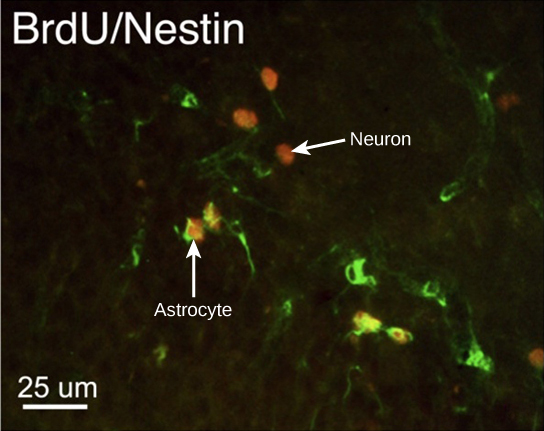 Neurons contain ________, which can receive signals from other neurons. 3. A(n) ________ neuron has one axon and one dendrite extending directly from the cell body. 4. 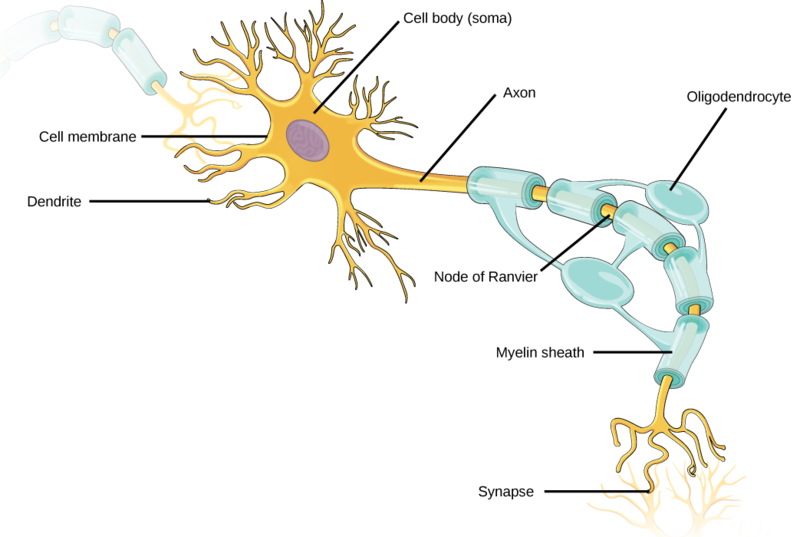 Glia that provide myelin for neurons in the brain are called ________. 5. 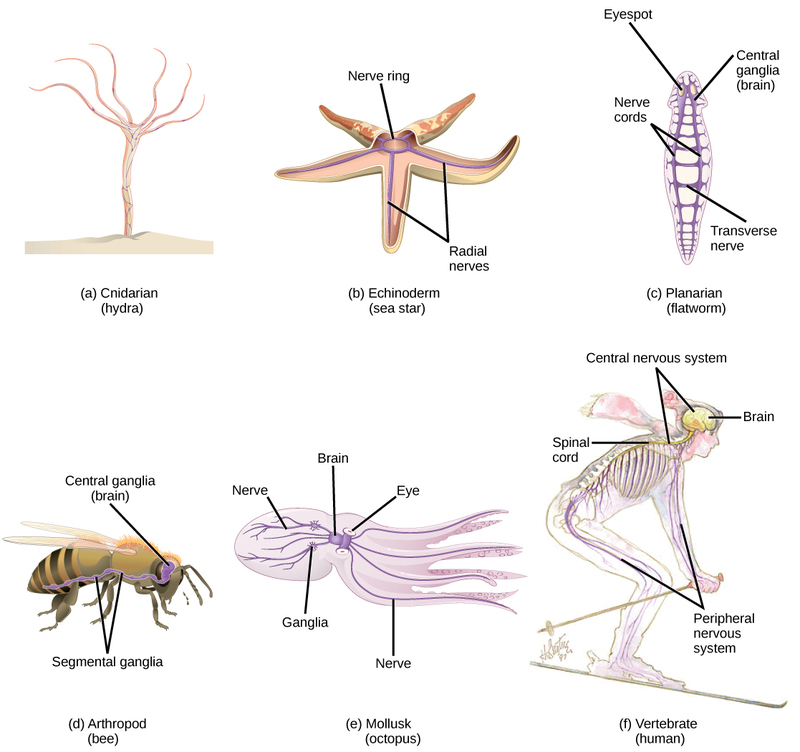 How are neurons similar to other cells? How are they unique? 6. 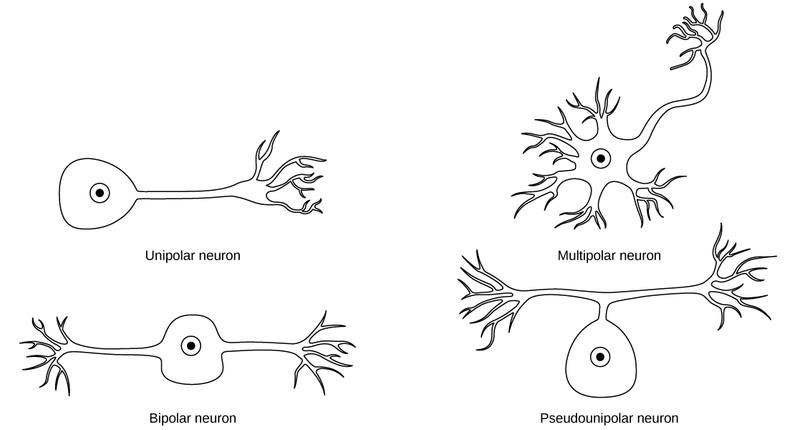 Multiple sclerosis causes demyelination of axons in the brain and spinal cord. Why is this problematic? 16.1 Neurons and Glial Cells Copyright © by laesoph. All Rights Reserved.